Our Any Message Here Personalized Sweatshirts are available on our premium white cotton/poly blend Personalized Sweatshirt, machine washable in adult sizes S-3XL. Customizable Sweatshirts are also available in Pink and Ash Grey. Includes FREE Personalization! 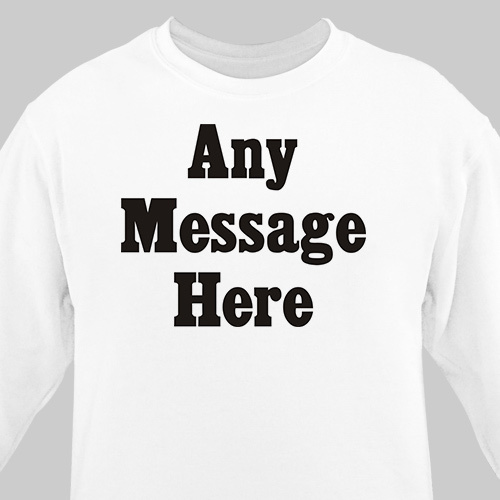 Personalize your Any Message Here Sweatshirt with any three line message in our "Standard" font, choose between 10 different colors for the text. Additional Details Custom Sweatshirts make excellent Personalized Mother's Day Gifts!